Giving cheerfully and sacrificially is an act of worship. For the believer, giving creates an opportunity to model Christ to our neighbors, brothers, sisters, and community. We do not give because of obligation, but gladly sacrifice for the sake of the gospel because Jesus sacrificed for us, and all that we have or acquire belongs to him. We are therefore stewards of the resources God entrusts to us (2 Corinthians 9:7). Giving allows us the opportunity to honor God by declaring that we worship Him alone – not money, possessions, or other acquired resources. At Anacortes Christian Church, we call upon our congregation to cheerfully give. We thank those who have helped support and meet needs here and abroad, and we pray that ACC would be a community of people who join in faithful, consistent, and godly giving as scripture instructs. How you choose to manage your giving is ultimately between you and God. However, we recommend the Biblical model of Tithing and Offering as a foundation upon which to build. Tithe literally means “tenth.” To tithe is to regularly set aside the “firstfruits” of your income – usually ten per cent – as an act of worship and trust to God (Proverbs 3:9-10). By giving our First to God (of anything – our time, finances, crops, resources, etc. ), we invite God’s blessing – His interaction, participation, and abundance upon the rest of whatever it is we have offered – because we are entrusting it to Him. “When first thing’s first, the rest is blessed.” Tithing is not designated to any particular ministry, but serves to build up the storehouse in general. In the Bible, this was so that those in need would always be taken care of. At Anacortes Christian Church, we model this same principle by seeking to build up a storehouse that meets needs both spiritually (through ministry) as well as “felt” (physical) needs within the congregation, the community of Anacortes, and abroad. Offerings are given over and above the tithe. An offering is designated to a chosen ministry or location, such as Missions, Benevolence, etc. Tithes and Offerings are, by definition, not the same thing. At ACC we strongly recommend that anyone seeking to give in a consistent, Biblical manner practice tithing as a first priority, then if the Lord leads, give offerings over and above the tithe. 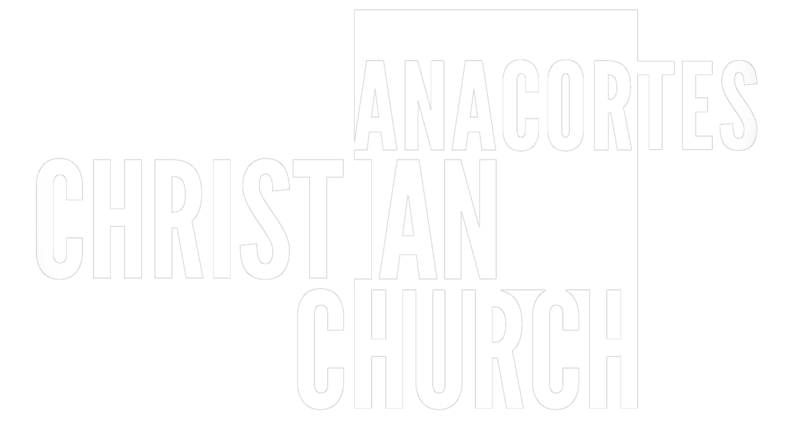 We ensure that when you give through Anacortes Christian Church, what you give is handled in a worshipful and godly manner. We publish our statements and make them publicly available for anyone seeking more information. Any donation you make is tax-deductible, and statements will be provided for you at the end of each year. To make a donation, offering, or tithe online, click the link at the top of the page. Alternatively, you can write checks to the address listed below, and specify the kind of giving or designation in the memo line. We request that you please keep designated checks and tithe checks separate, as opposed to including both in the same check.